When it comes to our faculty too, only the best will do. Our teaching staff are Ph.Ds. and Post-graduates from India’s top institutions – like IIT, IISc, and BITS Pilani. They actively publish papers in international and national journals, and bring a mix of teaching, research, and industry experience. The faculty are extremely accessible and supportive of their working students. For more details on each faculty member, click on their profiles. Udayan Chanda is currently working as Assistant Professor in the Department of Management, Birla Institute of Technology & Science (BITS) Pilani. Earlier he was associated with Industrial Statistics Lab., Department of Information & Industrial Engineering, Yonsei University as Post Doctoral Fellow, and Department of Operational Research, University of Delhi as Assistant Professor. He received his Ph.D. Degree in Marketing Models and Optimization (Operational Research) from University of Delhi, Delhi in 2009. 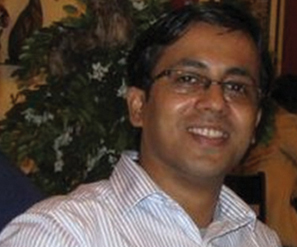 He did his Master’s in Operational Research from University of Delhi in 2003. He has published extensively in the area of Marketing Models, Optimization, Software Reliability and Inventory Management. He is the recipient of AIMS International Outstanding Young Management Researcher Award 2017 and Young Scientist Award- VIFRA 2015. He is Cited in Marquis Who's Who in the World (Twenty Ninth Edition, 2012, 2011) and Marquis Who's Who in Asia 2012 (2nd Edition). He received The National Research Foundation of Korea (Republic) Scholarship 2010, to pursue Post Doctoral Research at the Yonsei University. He is also a member of the editorial review boards of several reputed journals. His research interests include Marketing Models, Inventory Modeling, Software Reliability Growth Modeling, Dynamic Optimization Techniques etc. Fill your details to know more about the programme of your choice, and download the brochure.